﻿ Are Economic Developers in Tune with Renewable Energy? 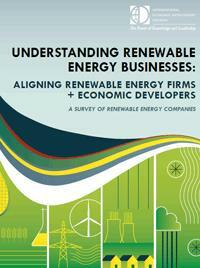 Are Economic Developers in Tune with Renewable Energy? Renewable energy (RE) industries have experienced tremendous growth over the past decade. Continued growth of these industries has the potential to meet many of the country’s economic, environmental and social goals. But how do policymakers, investors, and economic developers best support the sustained growth of RE? 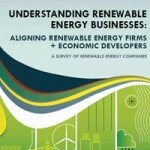 To help answer this question, the International Economic Development Council (IEDC), funded by a grant from the Energy Foundation, the Solar Foundation, and the Wind Energy Foundation, has published “Understanding Renewable Energy Businesses: Aligning Renewable Energy Firms and Economic Developers” (PDF). This report complements IEDC’s 2011 “Powering Up” report (PDF) which surveyed economic developers on how they prioritize policies and strategies that support the RE industry. This new report offers valuable standalone insight on the wind, solar and biomass electricity sectors. IEDC interviewed representatives from solar and wind energy firms to assess the opportunities and challenges facing these industries. IEDC also spoke one-on-one with experts in the biopower industry, which has been a consistent, significant source of RE over the past few decades. These goals and the actual survey questions mirror those asked of economic developers in the “Powering Up” report. 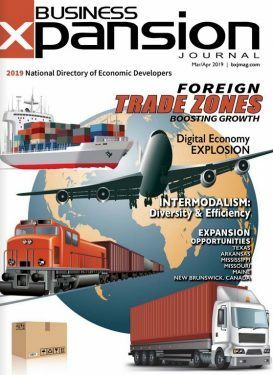 The similar format has enabled IEDC to compare and contrast firms’ and economic developers’ perspectives, thereby identifying both overlaps and gaps in understanding. The goal of the report is to help economic developers adjust their strategies to best support local RE industries. Understanding alignments and gaps between renewable energy firms and economic developers can illuminate the success of existing programs and suggest improvements to future strategies. IEDC hopes this research will be a first step in closing these gaps.